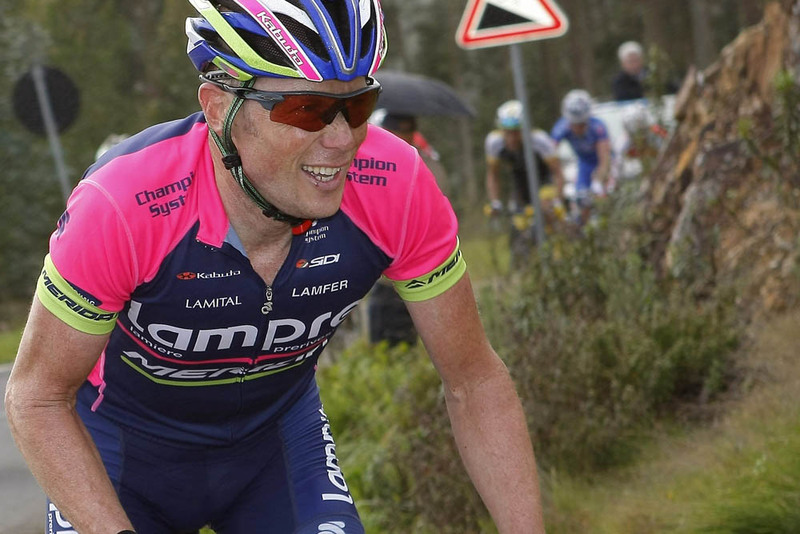 American Chris Horner, cycling’s oldest grand tour winner, will ride for home third division team Airgas-Safeway in 2015. After riding with first division WorldTour teams, including Lampre-Merida in 2014, the 43-year-old was unable to find a top team for the new season. “I have achieved a huge amount of success in my career and I’m incredibly proud of that,” Horner said. The cyclist from Bend, Oregon, won the Vuelta a País Vasco, the Tour of California and the Vuelta a España. His 2013 Vuelta victory made him the oldest rider to win one of the three Grand Tours. RadioShack-Leopard did not renew his contract for the 2014 season as it switched management and became Trek Factory Racing. Lampre signed him, but had little in return due to a hit-and-run training crash in April and low cortisol levels that forced him to miss his Vuelta title defence. Horner is one of the few Grand Tour winners to avoid retirement and sign for a team outside the first or second division. Spain’s Juan José Cobo, who beat Chris Froome for the 2011 Vuelta title, rode this season for third division Turkish team, Torku Şeker Spor. Horner has taken a step down before. After riding for top teams including France’s Française des Jeux and Saturn, he signed for unknown team Webcor Builders in 2004. He won almost every big US race and earned a contract with Spanish first division team Saunier Duval with Joaquím Rodríguez. Doubts surrounded Horner’s success, however. He rode in support of disgraced cyclist Lance Armstrong in teams Astana and RadioShack, but unlike other team-mates, said that he did not dope. To win the Vuelta, he beat 2014 Tour de France champion Vincenzo Nibali, a rider 13 years younger. In his defence, Horner posted his biological passport numbers and said that he never saw doping in Johan Bruyneel’s teams. His new American team rode as Airgas Cycling this 2014 season. Grocery store chain, Safeway joined for 2015 and helped make the Horner deal possible. Lampre-Merida team manager Brent Copeland told Cyclingnews Horner was not offered a new contract because of 'sponser pressure'.